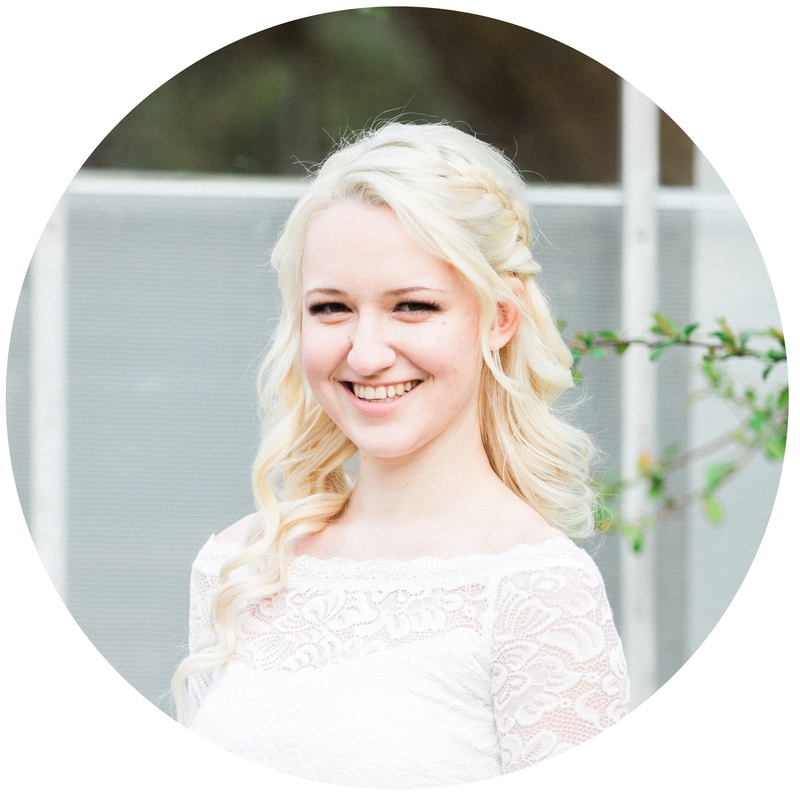 My birthday was last month, and it is one I will always remember and look back on fondly. 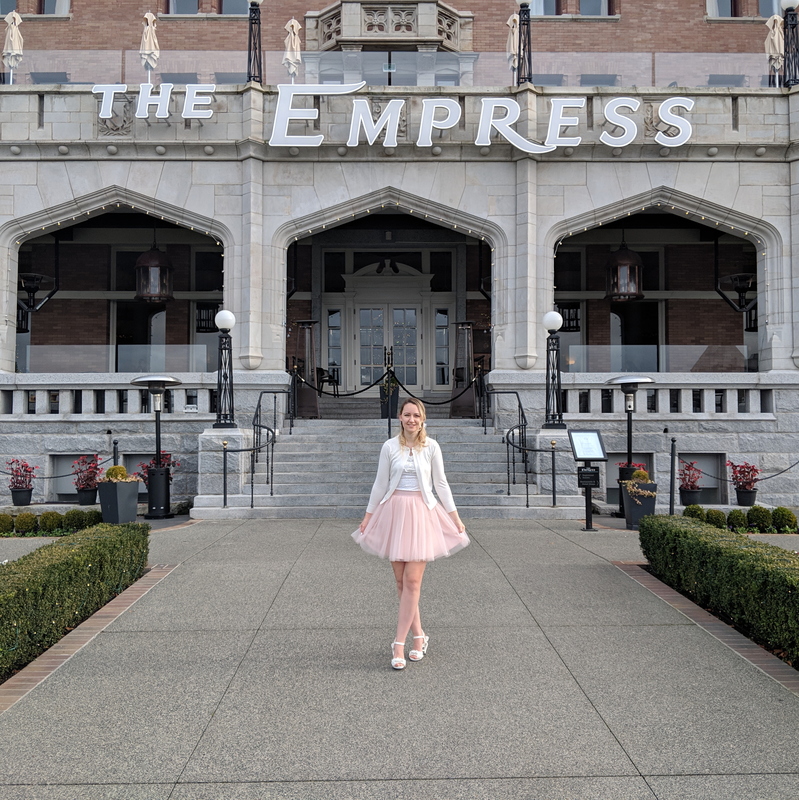 My wonderful husband made a dream of mine come true, surprising me with a one night stay at The Empress Hotel in Victoria. A few days before we were to leave, he finally told me what my birthday surprise was after weeks of anticipation. 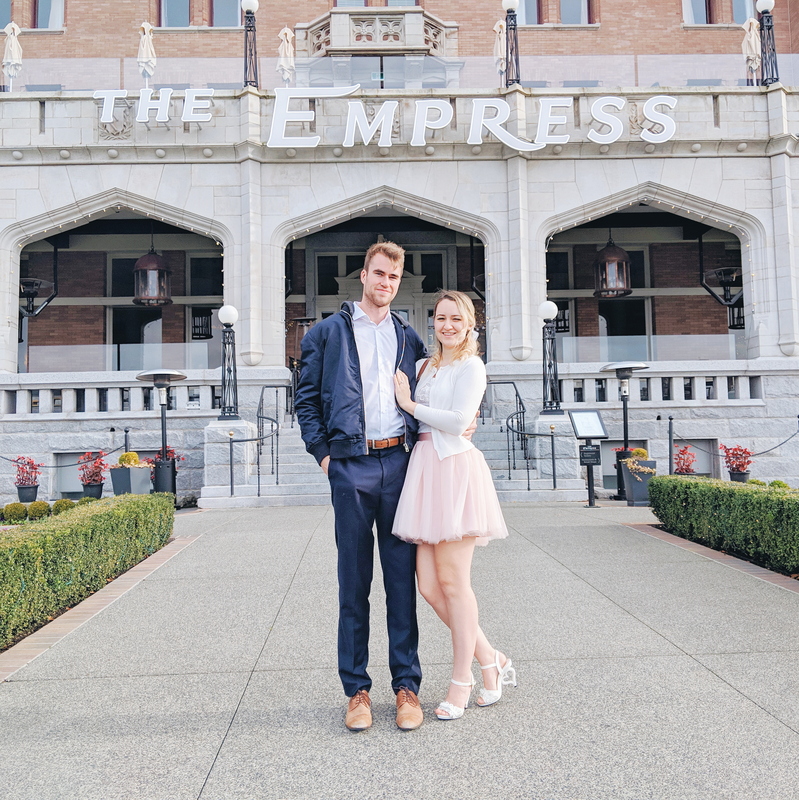 It was a one night stay at the Empress, dinner, and a reservation to experience their Afternoon Tea service. I was so excited, I felt like a little kid on Christmas! I got straight to packing and picking out what I would want to wear and bring with me. When the day finally arrived, Matt went out in the morning to get his hair cut and do some other errands, while I organized and clean up the house for our pet/house sitter. We finished packing, said goodbye to our animals, and off to the ferry terminal we went. Of course, my amazing husband had everything planned ahead of time, so I was able to sit back and relax during the trip. Once we arrived a few hours later, I was in absolute awe. Not only was the hotel more beautiful in person, but the service we received was spectacular. I’ve never gotten such amazing hotel service before, and I felt like I was some important celebrity or even royalty! From the valet to check-in, to have our bags delivered and set-up in our room, I was very impressed so far. The room was simple but had everything we needed. Nothing more, nothing less. I didn’t expect anything extravagant, since staying at the Empress can get very expensive. I appreciated whatever Matt had reserved, purchased, or planned for us. That evening, we went out for dinner at a restaurant right across from the hotel, which so happened to be right on the harbour. We received a window seat table, so we were able to view the city with all the Christmas lights and enjoy the calm of the ocean. After dinner, we headed to the hotel lounge + bar, where there was live music playing, and where we could get a free drink (a courtesy gift from the hotel for my birthday). We sat at the bar and enjoyed complimentary snacks, ordered the most delicious cheesecake we have ever tasted and tried a variety of yummy alcoholic beverages. Considering it was the Empress, everything was quite expensive. However, since we were pretending to be rich for a night, we went all out (and of course hubby gave the go-ahead to get whatever my little heart desired). Happy and full, we returned to our room to relax and unwind from the eventful day. We brought game boards with us, so we played a few rounds of each game and watched FRIENDS on Netflix. Despite having a large dinner, dessert and snacks, we ended up ordering late night room service, because why not! No regrets there! When morning arrived, we had breakfast delivered right to our room. It consisted of fresh fruit and yogurt, toast, eggs, bacon, and coffee. Did I mention that all the food in this hotel was delicious? If not, it was delicious! After breakfast, I got to packing while Matt slept in for a little while longer. Soon, we would be off to for afternoon tea, the one event I was most looking forward to. We checked out of our room, put our things in the car, and headed for the tea room. The room itself was so beautiful, and we happened to get a table right next to the window (what luck yet again!) There was live piano music, adding a calming vibe to the atmosphere of the room. The service from all the waiters was excellent (which many complimented me on my shoes.) They were very attentive to our needs, and at the same time, left us alone to enjoy our tea and yummy treats. 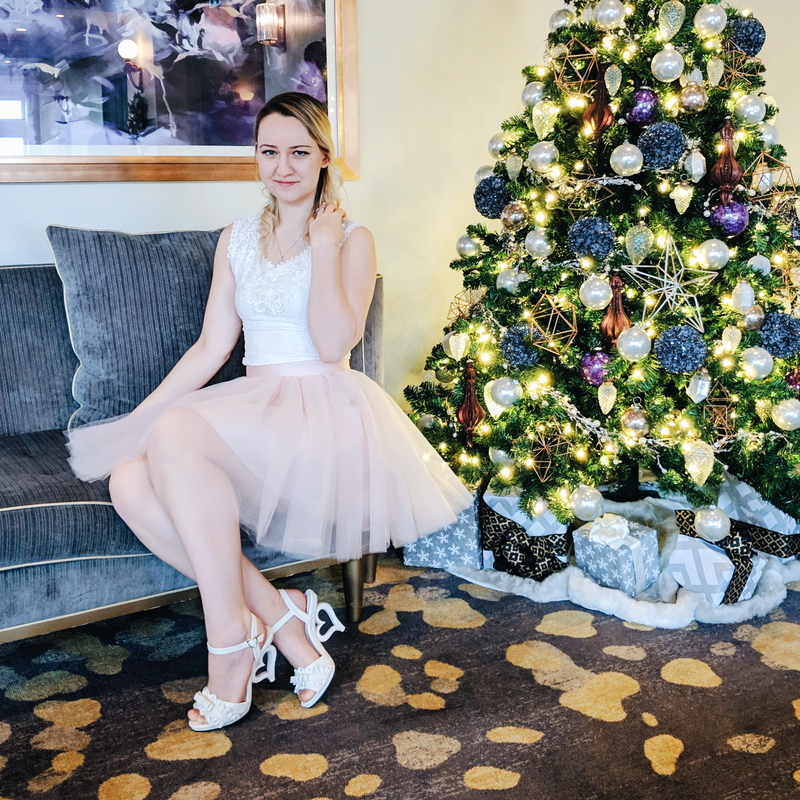 Everything arrived so quickly, and I can honestly say it was one of the best afternoon teas I’ve ever experienced. The savouries were fresh and flavourful. The desserts just melted in your mouth and every bite was just a burst of heaven. The tea I picked out was called Rose Congou Emperor, a favourite of the late Princess Diana. I love absolutely anything rose flavoured, so it was interesting to see we had something in common. Everything was so unique and nothing that I’ve ever tasted before. It was a wonderful night away, and I’m so thankful to have such a caring and thoughtful husband. He remembered a dream of mine and made it come true. Thank you, darling, for a wonderful birthday.